Whatsapp is the renowned Android application that people use to communicate with each other in their day to day life with their mobile phones. A new feature must have to come and it's here all new Whatsapp Web, it's how management works bringing new updates, adding new features, etc. to maintain their place in the market. With this feature you don't have to install Blue Stacks or any other bulky software in your computer. 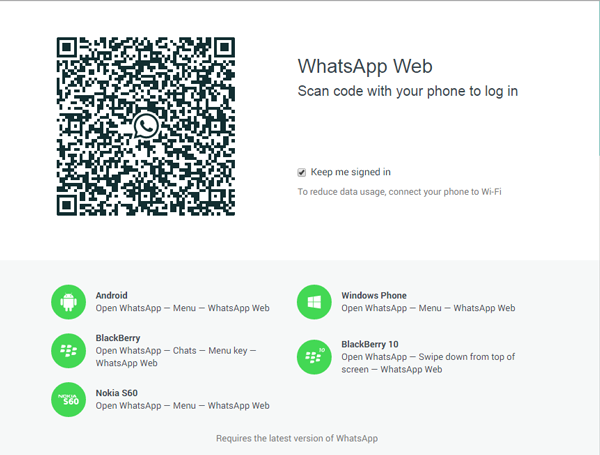 Whatsapp Web is the exclusive and innovative feature added in the application that enables you to use it on your computer's web browser easily. 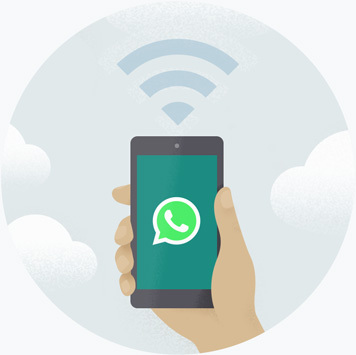 In order to use Whatsapp Web feature you must have enabled internet connection in your android mobile phone as well as in your personal computer while using. The little condition is their that it is only supported by Google Chrome browser in any personal computer. Coming on the user interface, the user interface is fantastic and is very sober. Its browser's users interface resembles the WhatsApp application in the mobile phone. Some minute and cute animations are added in the web interface. However, you cannot delete, edit, and change your profile picture and the status, it might be for security reasons. 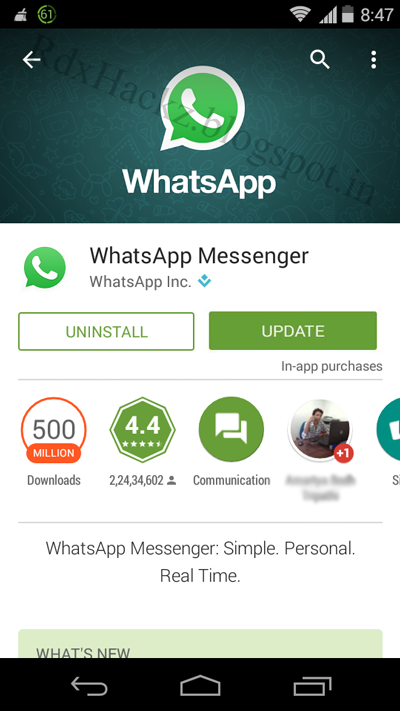 Firstly, on your mobile phone Update your Whatsapp with the Play Store app. 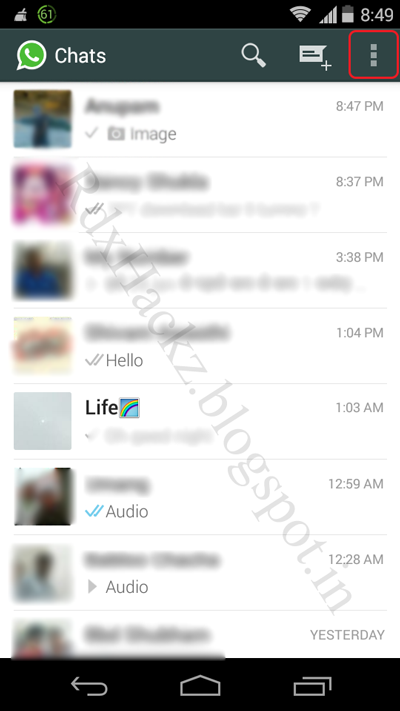 After updating whatsapp , Launch your Whatsapp and tab this button available on the right-top of the displayed screen. 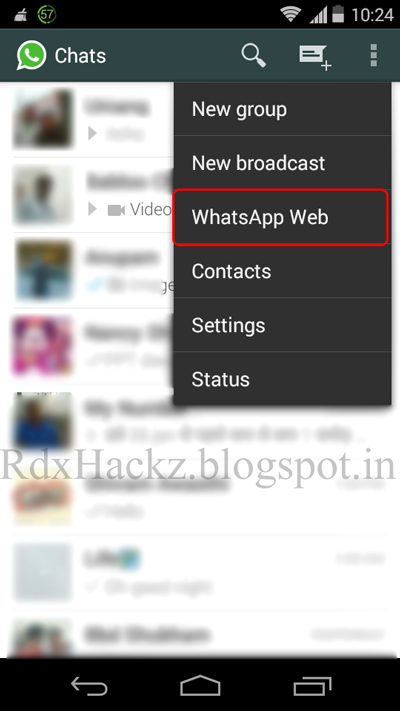 From the drop down menu tap and select the Whatsapp Web button. Once done, open this "Web.Whatsapp.com" link in your computer's Google Chrome browser. Note: You must ensure to use the Google Chrome browser only, other browsers are not supported at all. Once done their is a QR Code displayed on the computer browser's screen, Scan that QR Code with your mobile phone. Note: Make sure to match the square of QR code from mobile and hold your mobile as much still as possible. 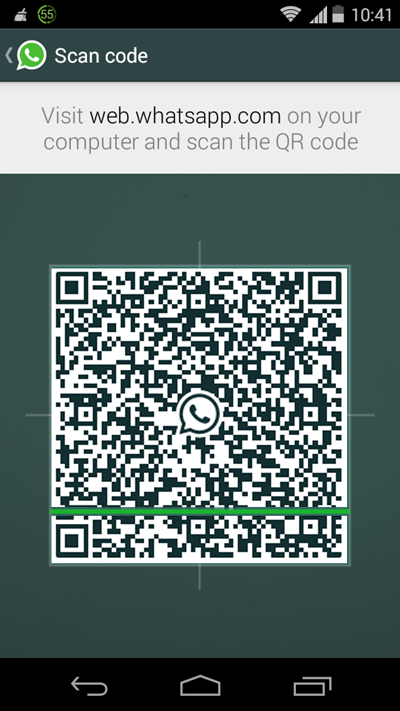 As soon as the QR Code Confirms, keep you mobile on the table and enjoy using the Whatsapp Web on your Computer. Note : You must have the Internet connection enabled in either the devices mobile phone and the computer you are using in the process.